Our mission at NP/NIGHTS is to help young adults experience MORE LIFE through growing community. Our short term small groups are designed to get you connected with people like you who want to grow and do life together. These groups meet every week for 8 weeks with new groups available every month. You can sign up below or at one of our live events. All are welcome! Mixed groups are more or less the combo platter of the groups menu. 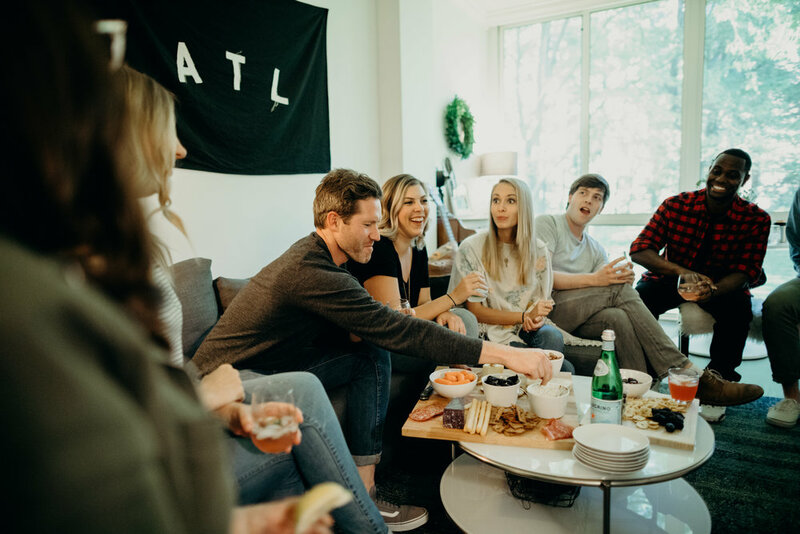 These circles can be a group of singles, couples (married and unmarried)—men and women who are looking to connect and grow alongside one another. If you enjoy a wide variety of topics and perspectives, this is the group for you. They are the ultimate #squadgoals. Looking for a place to belong, explore faith, and grow with other women? Then look no further than a women’s group. We take “come as you are” seriously! New groups opening soon! Sometimes bro time is the best time. Laugh and learn with a group of men that are choosing to get out of their caves and into community. New groups opening soon!